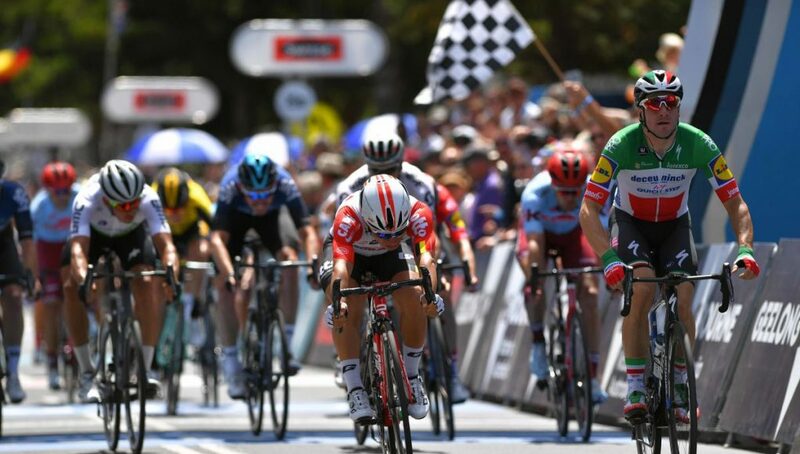 Italian Champion Elia Viviani has taken the 70th pro victory of his career after bettering his runner-up spot from twelve months ago and winning the fifth edition of the Cadel Evans Great Ocean Road Race. 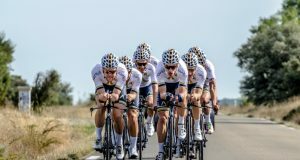 The main difficulty of the 163.3km-long race was the Challambra climb (900 metres at 10%), where several teams upped the pace on the final two laps and brought back the three-man breakaway before sending their riders on the attack, hoping the sprinters would be despatched. 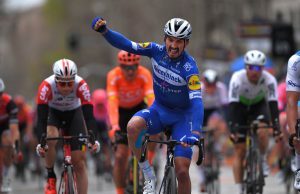 But Deceuninck – Quick-Step, with the likes of Dries Devenyns and James Knox, countered all these moves before the bunch finish. Michael Mørkøv took the front and delivered the Italian Champion in a perfect position. 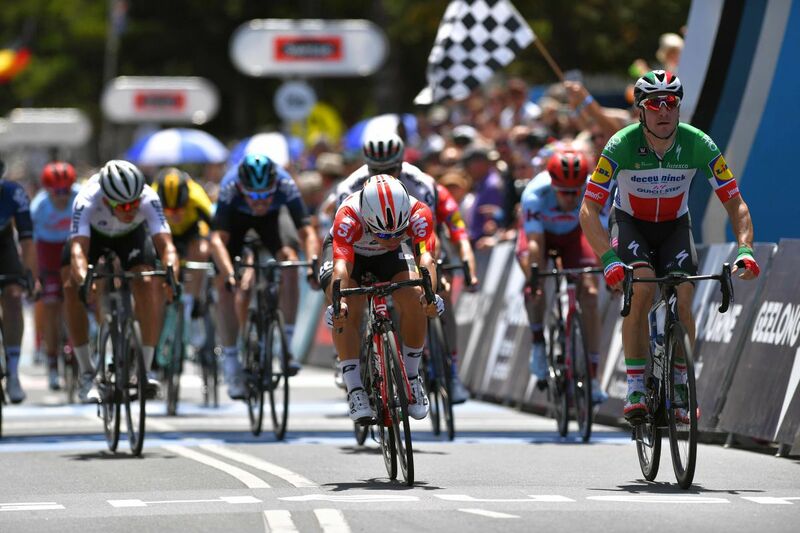 With the finish line in sight on the Geelong waterfront, Viviani hit a top speed of 75.2km/h in the 16-second sprint, which saw him edge out Caleb Ewan (Lotto-Soudal) for his second win of the year, after the one he notched up last week on the opening day of the Tour Down Under. “There were two second places of last year that I wanted to improve in 2019, and this was one of them. We were really committed today, had a plan and followed it accordingly. 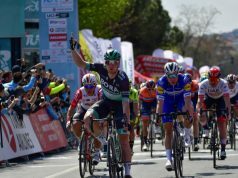 I knew that some were interested in dropping me and pushed a hard tempo on the climbs, but we played it smart and each time came back thanks to the best team in the world, who worked tirelessly and gave me a perfect lead-out”, said Viviani. “I like this race a lot, I like the course because it gives a chance to every type of riders, so I was really keen on winning here. We were in four riders going into the final kilometres, which was very important. Also, having Michael by my side under the red kite gave me a lot of confidence, as he was crucial today. 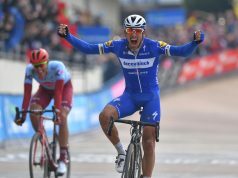 As I said, I wanted to rectify last year’s runner-up place and having achieved that gives me a lot of joy”, explained Viviani after the 70th pro win of his career.